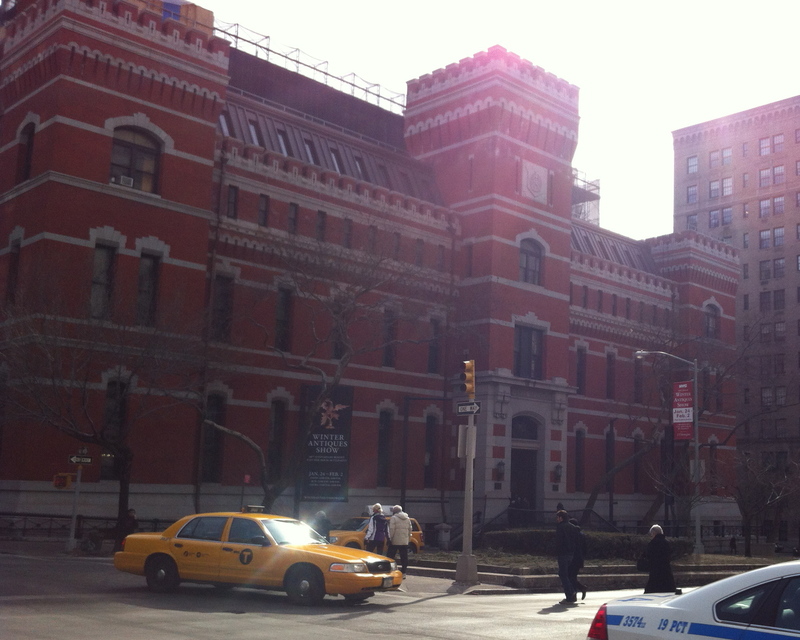 Each year, as the end of January rolls around, my heart kicks up speed knowing I’ll be attending the annual Winter Antiques Show held at the Park Avenue Armory in New York City. For anyone interested in antiques, this is one of the premiere antique shows of the year. All profits from this event go directly to the East Side House Settlement, a charity that supports education in one of the poorest congressional districts in the United States. 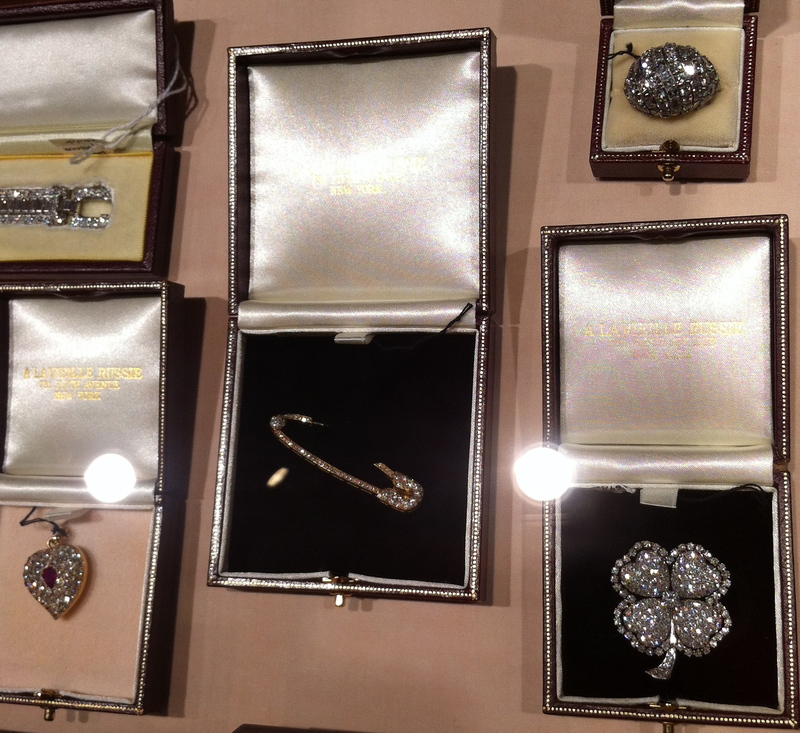 This year’s Winter Antiques Show ran from January 24th through February 2nd. Seventy-five antique dealers from across the country and abroad converged in this one space to showcase a sample of their collections. I thought I’d share some pictures to give you a glimpse of one of my favorite shows. Since I collect portrait miniatures, one of my first and favorite stops is at Elle Shushan’s where her display of antique portrait miniatures always takes my breath away. Another one of my favorite stops is at Kenneth W. Rendell Gallery. The gallery is in New York City and they carry historical letters and documents from the Renaissance to the present day in all fields. Their staff is always helpful and happy to answer questions. 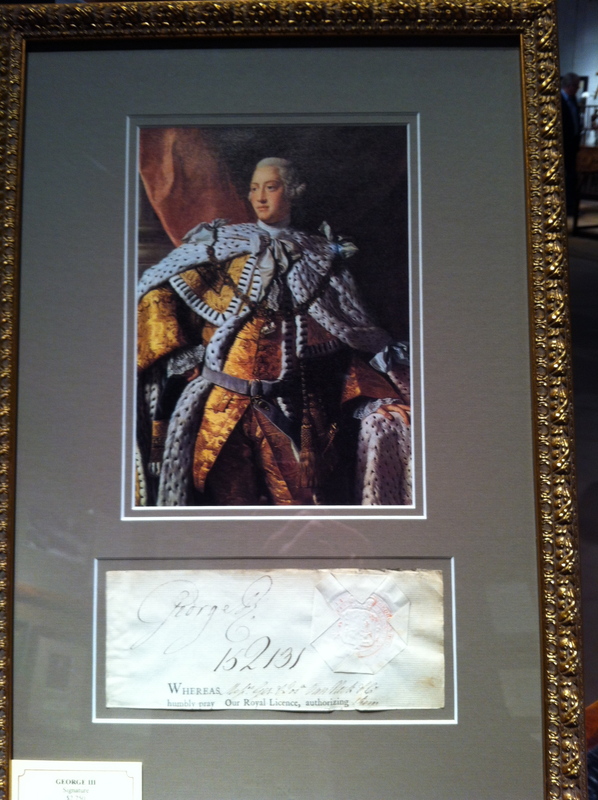 This year, I found a signature of King George III that caught my eye. Probably one of the most extravagant items I spotted at this year’s Show, was a gold and diamond Cartier diaper pin at A La Vieille Russie. In all likelihood, it was originally used as an actual diaper pin. It amazes me what some people would put near poo. My friends would tell you I have an addiction to coffee. I prefer to call it a love affair. 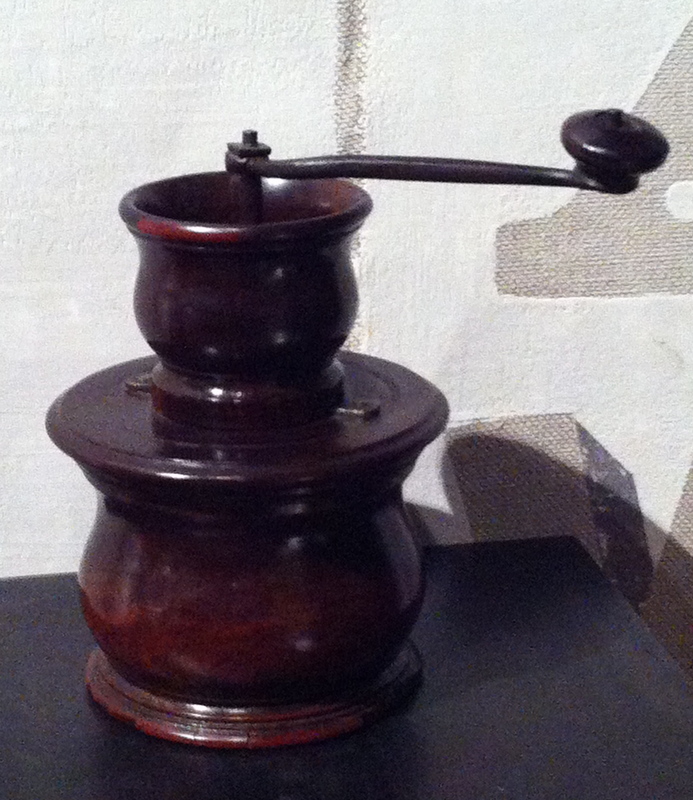 When I saw this English fine double baluster coffee mill c.1760 from Robert Young Antiques, my palms started to itch. 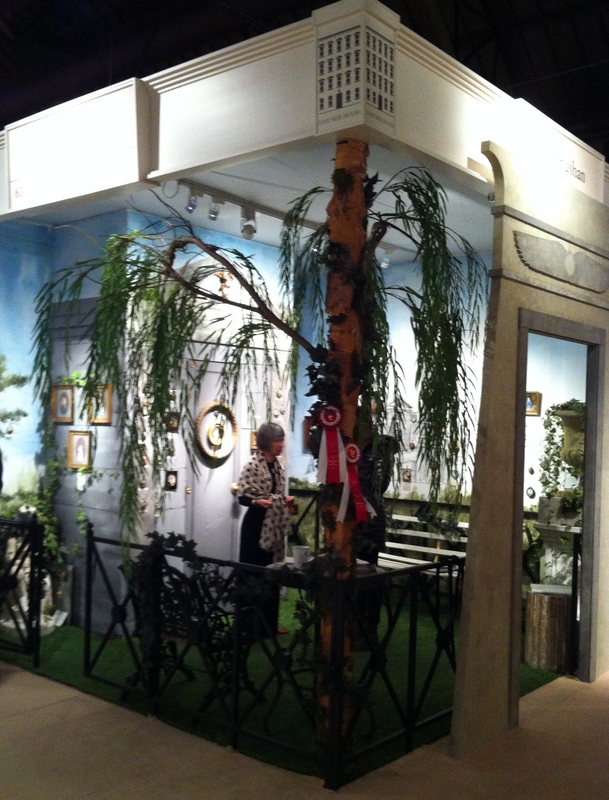 The Winter Antiques Show really is a wonderful place to spend the day if you have an interest in antiques. Next week, I’ll highlight some of the beautiful furniture I saw that I wish I had room for in my home.